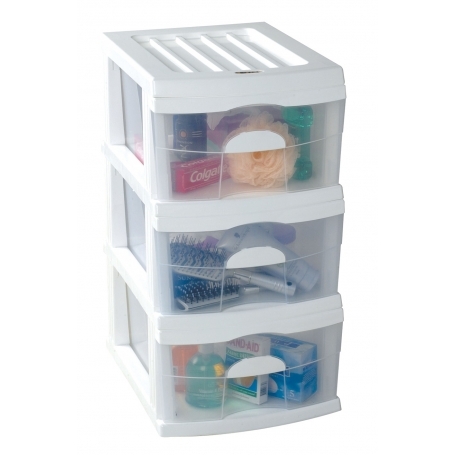 This sturdy plastic three drawer unit is ideal for extra storage in the bathroom, wardrobe, bedroom or playroom. The castors on the base enable the unit to be easily relocated. The drawers are of solid construction with plastic capping across the top of the drawer fronts.